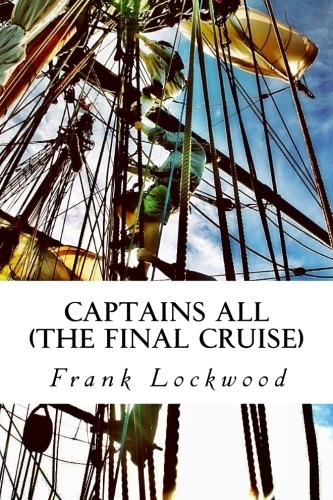 My sister Bonnie Jean Price of North Carolina called today to tell me that my book “Captains All” by me, Frank Ellsworth Lockwood, was really good! Thanks Bonnie Jean! I am glad you liked it. I hope you don’t mind if I post an old-time photo of you here. Isn’t she a hearth throb? June 1961, kids! We remember when we had no telephone, not television, just a big radio in the living room. We were raised in Santa Cruz, California. 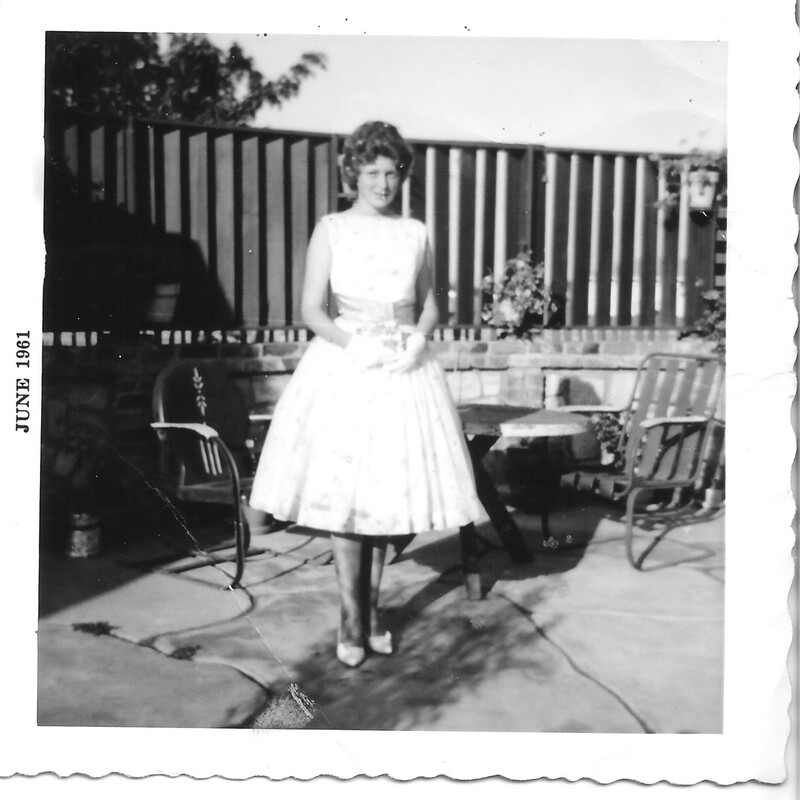 This photo was taken at our house on Brommer Street in the district of Live Oak, about a mile or so from the ocean. I believe this was an Easter photo. The patio and wall were hand made by my dad, with me helping by mixing the concrete. I have many a happy memory of parties and family barbecues at that house. Our dad used to make the best hamburgers we ever tasted. Wish I could have one right now. Thanks Bonnie for your careful read and generous comments.